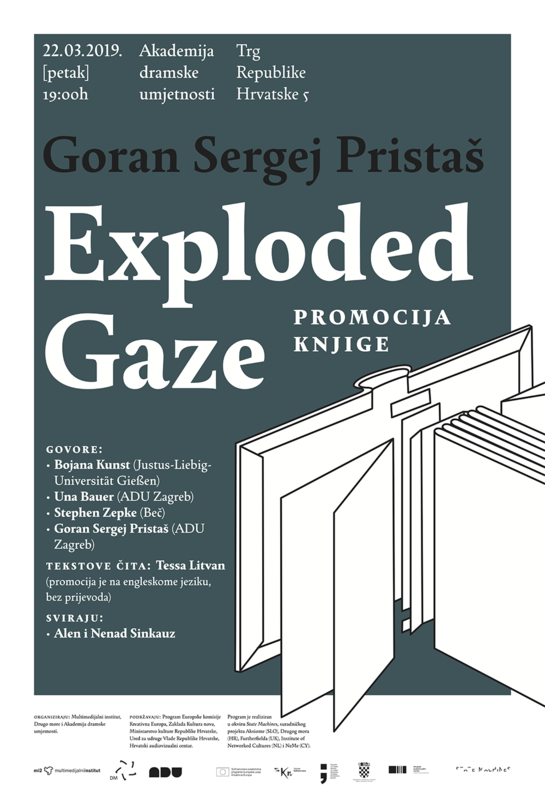 After the American presentations in Chicago and at the Stanford University, and before the European promotions in Ljubljana and Copenhagen, we invite you to Zagreb’s book lunching of Exploded Gaze by Goran Sergei Pristaš, a kind of summa dramaturgica of author’s theoretical and artistic practices. 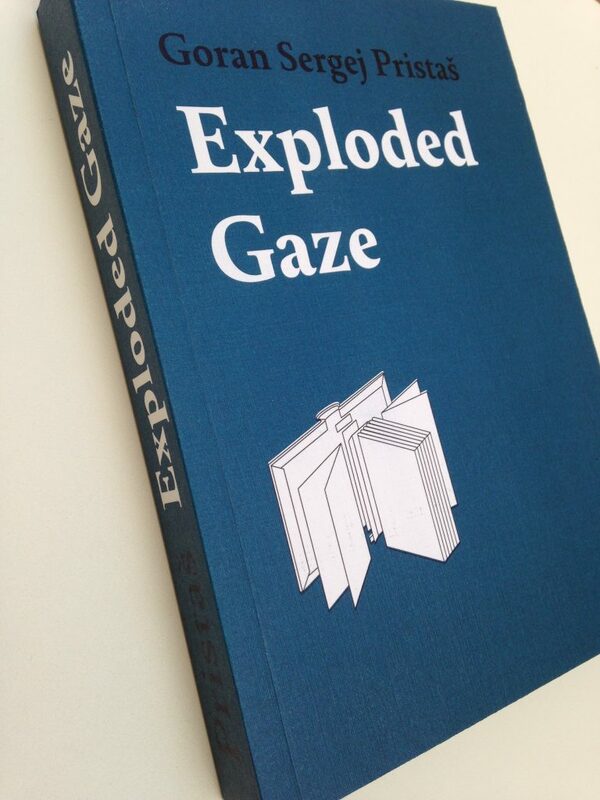 The book was published by the Multimedia Institute, in cooperation with collaborative performance collectiv BADco and the Drugo more. 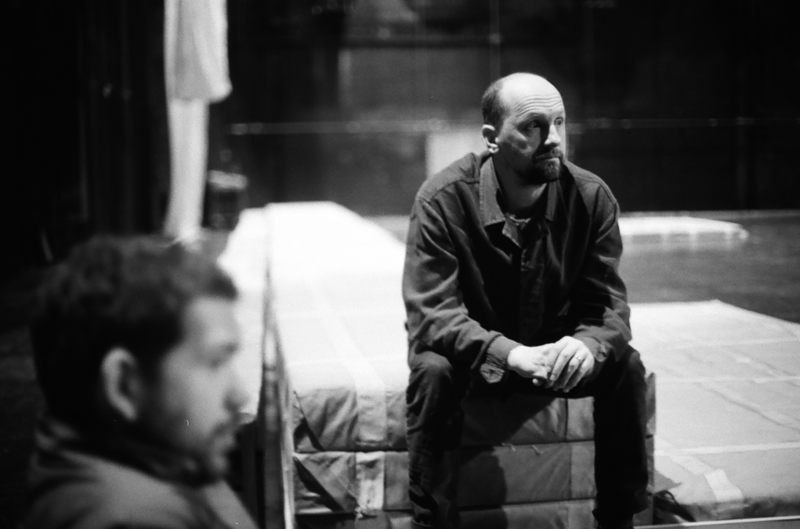 Goran Sergej Pristaš is a dramaturge, founder member of performing arts collective BADco. and Professor of Dramaturgy at the Academy of Dramatic Arts, University of Zagreb. With his projects and collaborations Pristaš participated at Venice Biennale 2011 and 2016, Documenta 12 and numerous festivals, exhibitions and conferences.